InPhase Practice Management Software does everything from scheduling patients to billing. It even tracks out the effectiveness of your marketing campaigns via our 'Cascading Referral Report'. 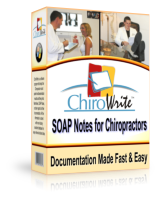 The software has been designed exclusively for Chiropractic and we have tried to ensure that the little things (like patient retention!) don't slip through the cracks.